Ancestors of John Tweedy, rejoice! The self-chilling “MagCan,” a staple of Ionath Krakens linebacker John Tweedy and his brother Ju, has leapt from the pages of science fiction and into the modern world. The boys at Joseph Company International even put together a scintillating video on how to properly twist that can to maximize your cool beverage experience. Remember: half a turn or three-quarters of a turn only! Excess turning can result in death! Wanna sip? Not so fast. The hydrofluorocarbon gas (HFC 134a) used to chill the beverage is one of the most powerful man-made greenhouse gases, a whopping 1,300 times worse than the dreaded carbon dioxide (CO2) for heating up the planet. Pepsi worked with none other than the Joseph Company on that effort, which turned into a very expensive failure. They weren’t able to bring the product to market in a sustainable way. 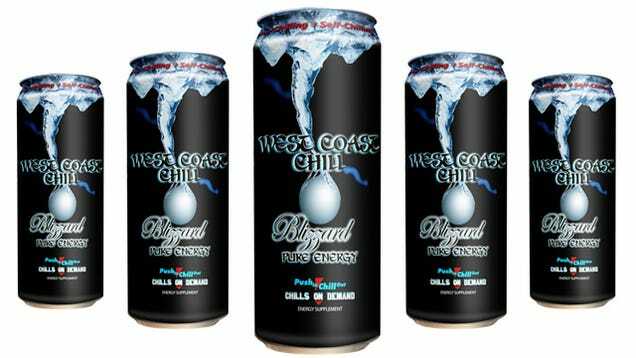 Fast-forward to 2012, when a company called West Coast Chillers (now out of business) gave the self-chilling can a go. Their product, a self-chilling energy drink, did not survive, but they did make one of the worst promotion videos the galaxy has ever seen. Thank goodness YouTube has preserved this marketing masterpiece. For all of you erstwhile engineers out there trying to make like Ronny & Bobby & Ricky & Mike, we at the GFL hope you continue to cool it down. This post brought to you by our super-mega-duper-awesome “GoDaddy Coupon” page. Get 30% off your entire new order of chill products with the code CJCSIGLERP. The Galactic Football League is a best-selling space opera series that combines scifi, crime and sports. I noticed in the promotional video that the West Coast Chiller product was also featuring The Joseph Company.